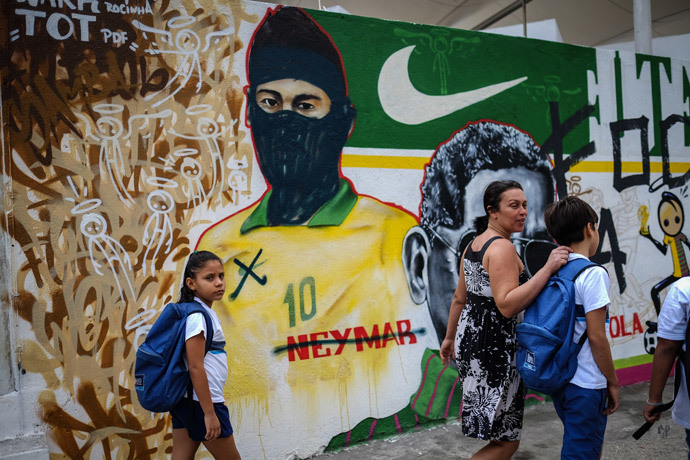 With just two weeks remaining until the World Cup kicks off in Brazil, those who believe the global event is too much of a burden for the country’s struggling economy have found a new way to channel their protest energy – with graffiti. 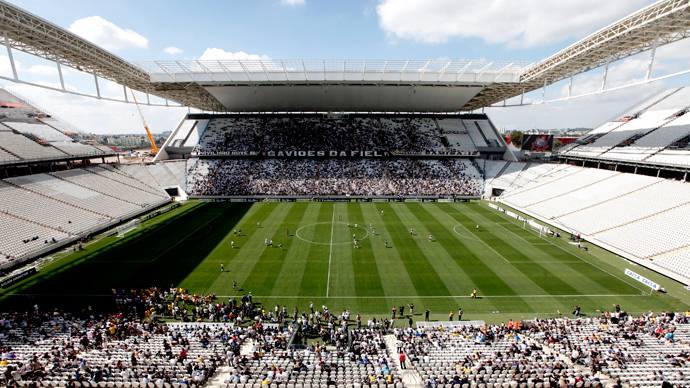 They share the belief that the US$11 billion which has been spent on the World Cup should have been used to improving transportation, healthcare, and education. 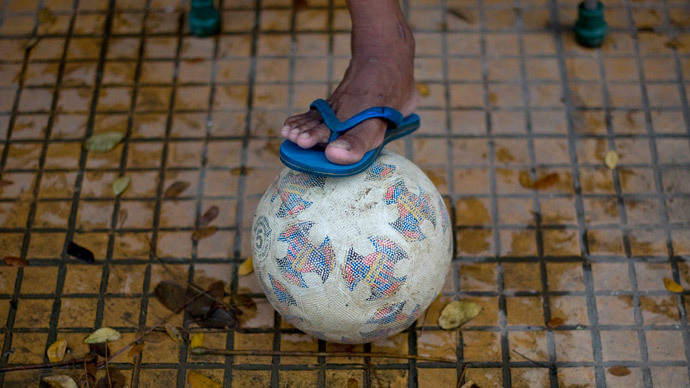 Despite the Brazilians’ passion for football, over one million people took to the streets across the country last year demanding the cancelation of the World Cup. 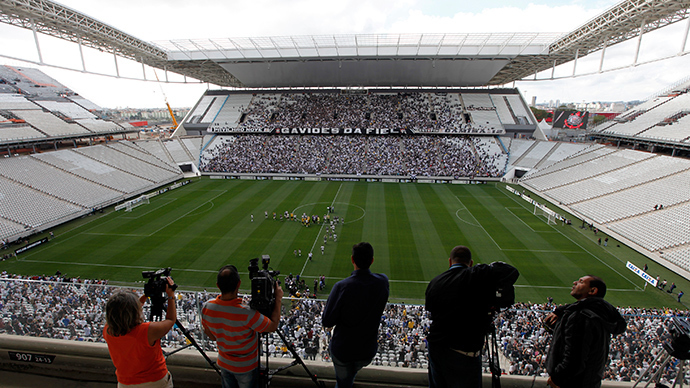 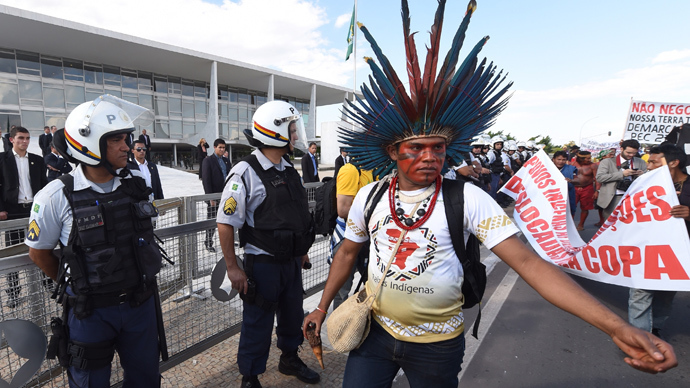 The people's outrage is only increasing as the tournament draws nearer – even Brazil’s training session ahead of the event was marred by protests. 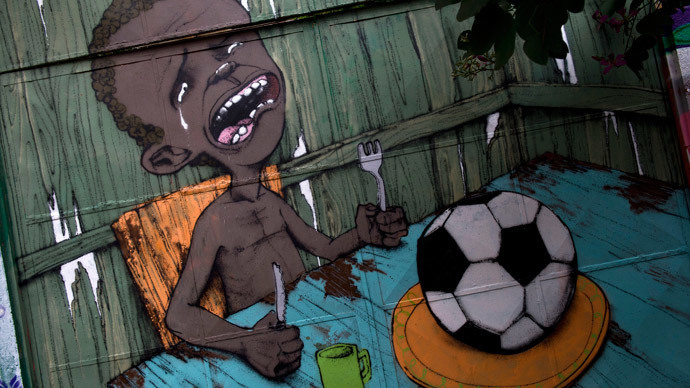 Meanwhile, graffiti that celebrates the upcoming tournament and the country’s football heroes – who will be hoping for their sixth world title at the home event – is being vandalized.